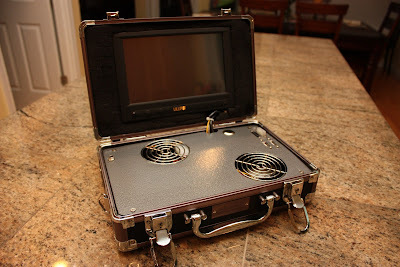 Back in the day, I had the idea for my first case computer which I called the Poor Mans Netbook, even though it ended up costing quiet a bit more than a netbook to build. After people constantly commented on how bulky and under powered it was, I decided to work on a smaller, faster and better built system that could actually be useful for something. I was able to get a much smaller case of the same brand as the last one that I could fit a mini-itx mobo in and the process began.